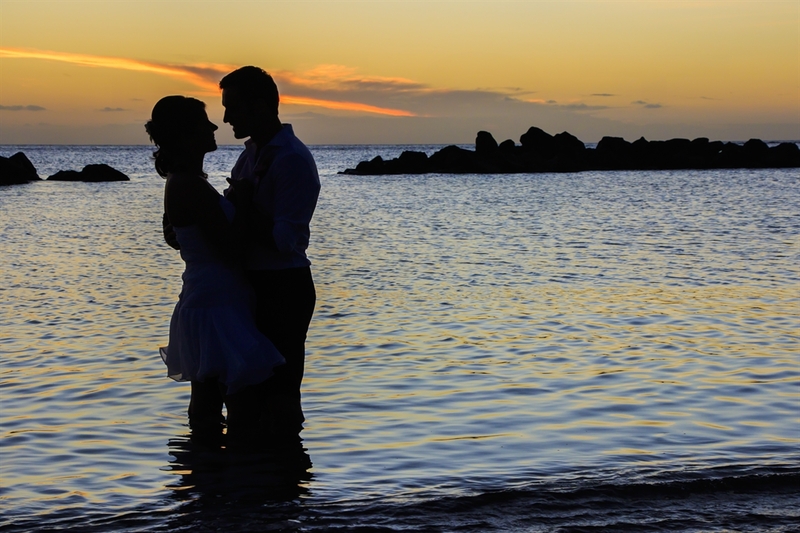 A picturesque location favorable for a wedding ceremony held on the beach of Mauritius, excellent sunny weather and, most importantly: A beautiful, cheerful bride and groom, who ensured a great atmosphere on the “set”. I was honored to provide my wedding photography services to Claudia and Franz who travelled all the way from Austria. 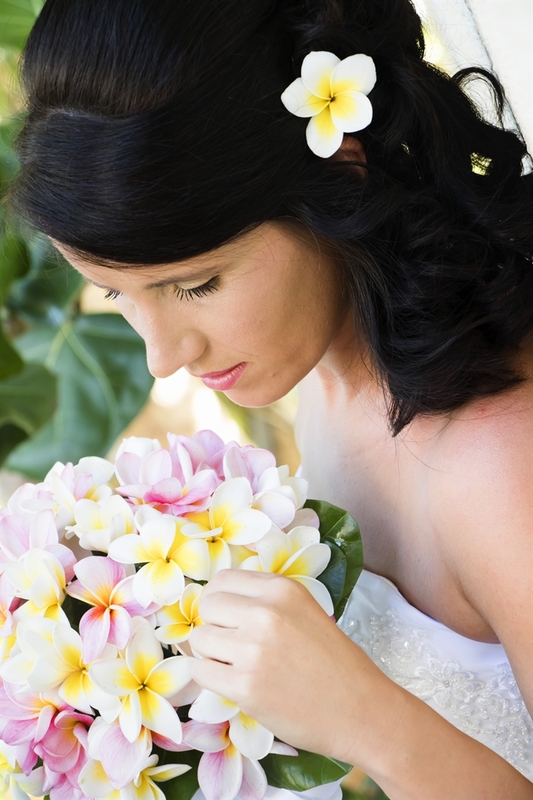 Their beach wedding ceremony took place at the Sands Resort and Spa in Flic-en-Flac, Wolmar, Mauritius. I met both of them separately in the hotel while they got dressed and styled. Even if they were surely a bit nervous, I met a very relaxes groom and bride. While getting ready, there was enough space and time for fun and laughter – resulting in a pleasant and joyful atmosphere. 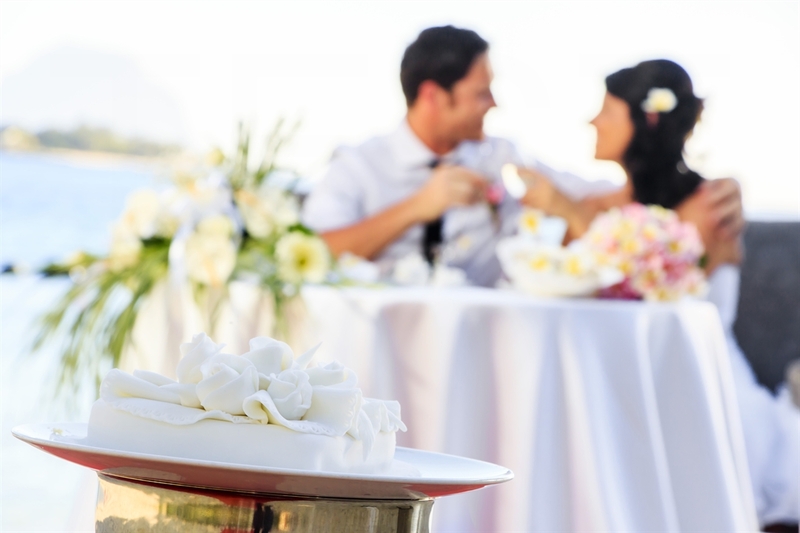 The overwhelming happiness remained all along the beautiful wedding ceremony set on the beach of Flic-en-Flac. The exchange of vows and the ring was accompanied by a bright sunshine, emotional words, smiles and tears of joy. 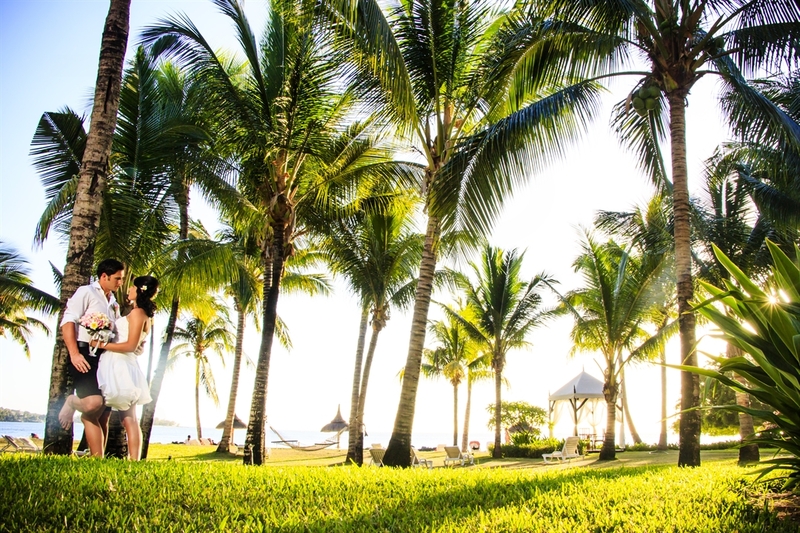 We continued our journey with a private shooting in a relaxed atmosphere, around the hotel premises and beach side. Claudia and Franz are an absolutely great and funny couple who, by their very nature, made the shooting very easy-going and entertaining. Thanks to their warm-hearted and cheerful character, they’ve made it easy for me to get some very nice pictures, transporting a great variety of emotions such as happiness, joy, and – of course – love! We enjoyed a wonderful afternoon together, resulting in stunning pictures that also bring a smile to the face of the photographer himself. An absolutely picture-perfect sunset was the crowning conclusion of this wedding-shooting that I still recall with warm memories. I invite you to visit my online gallery and to know more about me, please visit my biography section page. 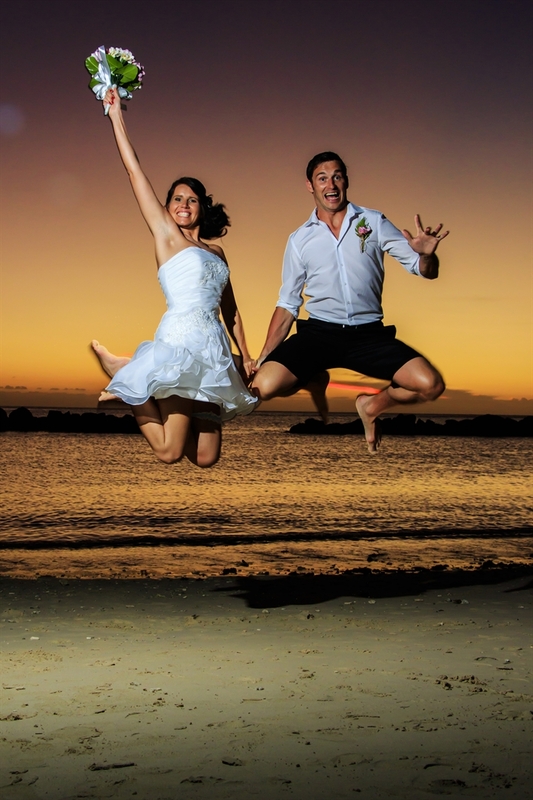 This entry was posted in Wedding Photography Mauritius and tagged Sands Resort & Spa Hotel.